Mimi Rothman smiles with a sense of accomplishment after a great round on At One's Word. 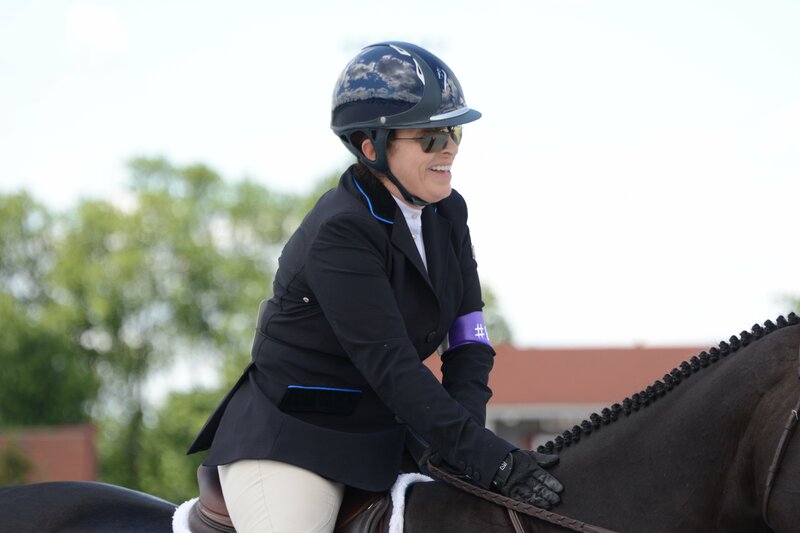 There is no doubt you have heard the name Mimi Rothman if you’re in the Midwest hunter/jumper circles, but what you might not know is the adversity she overcomes on a daily basis to pursue her passions of horses and philanthropy. 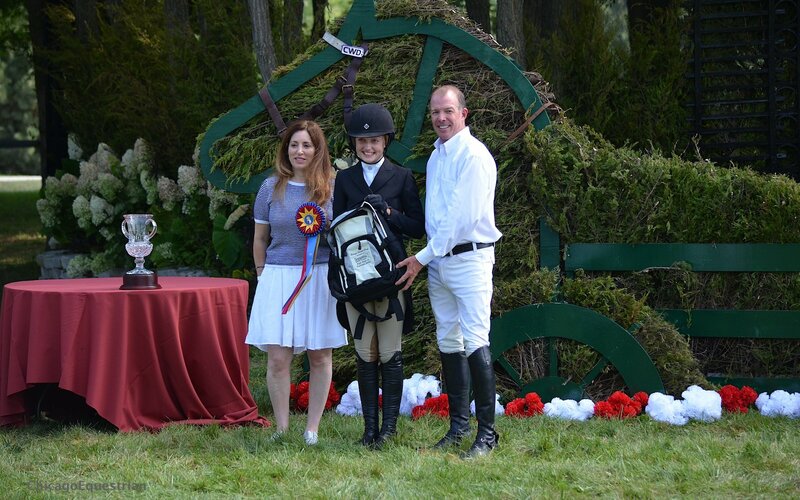 Sponsors Mimi Rothman and Doug Boyd present the Leading Junior Rider Award on behalf of Sapphire Riding Academy to Ashley Vogel during the Chicago Hunter Derby. The Mimi Rothman most horse people know is the generous owner of Sapphire Riding Academy in Mettawa, Illinois, who often shows her support for the equestrian world through sponsorships such as the prestigious Chicago Hunter Derby and numerous Showplace Productions and HITS events along with USHJA Hunter Derbies. 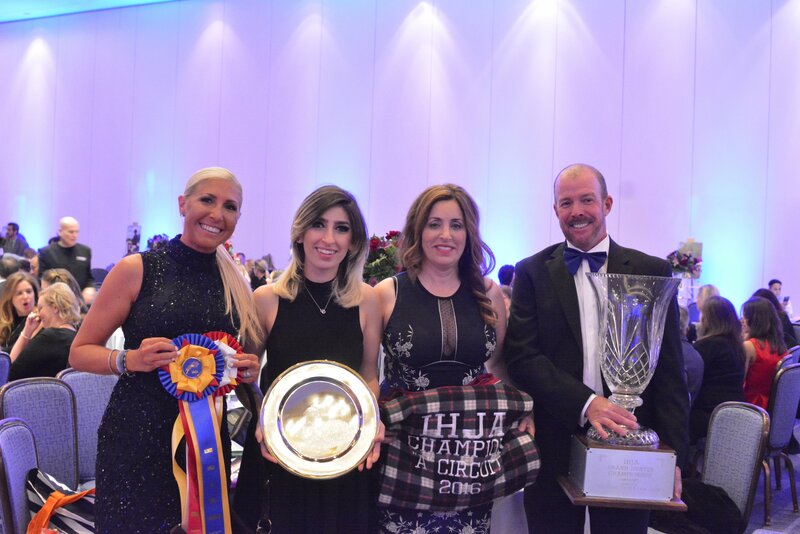 Trainer Doug Boyd holds the big award for Calido's Son with Mimi Rothman next to him, her daughter Clara Ciancuillo and assistant trainer Ashley March far left at the IHJA Year End Gala. and the Zone 5 Championship in the National Hunter Derby. 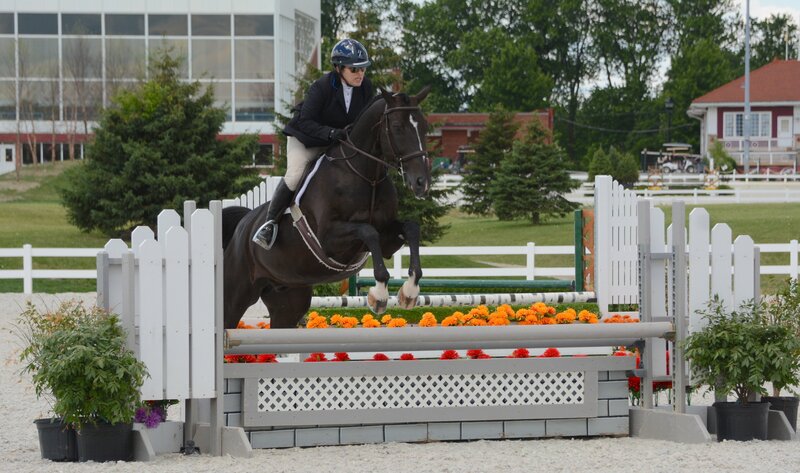 The small 15.2 7/8 hand gelding also brought home the 2016 Illinois Hunter Jumper Association Grand Hunter Championship, the HITS Ocala Circuit Championship and the HITS Ocala Grand Circuit Championship. Clara Ciancuillo with Boyd and her mount Nicholas in the winner's circle at HITS Balmoral Park. 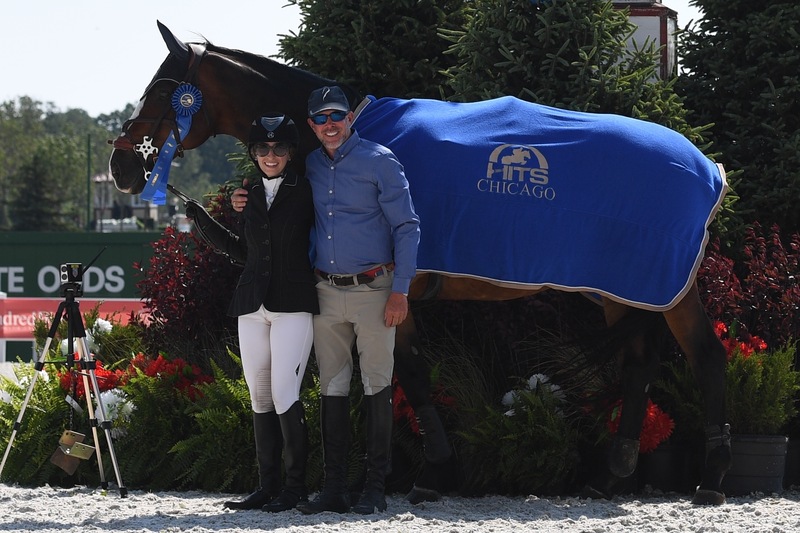 Rothman, of Glencoe, Illinois, also has a daughter, Clara Ciancuillo, who shows in the Adult Jumpers on her horses, Secretive and Nicholas, often finding their way to the winner’s circle as well. It was Ciancuillo who got Rothman to saddle up since she was always at the barn anyway. Mimi Rothman was encouraged to ride by her daughter Clara. You may have even seen Rothman in the show ring on her mount, At One’s Word, but what you might not know is Rothman is hearing impaired. Rothman was born with normal hearing but came down with pneumonia as a baby and was given an antibiotic that caused her hearing loss. Rothman never let hearing loss stand in her way of success in all parts of her life. She and Boyd have a true understanding and have developed a system to communicate while she’s riding and showing. Boyd is also hearing impaired and wears hearing devices, although his hearing loss is not the severity that Rothman’s is, he understands the complications. Doug Boyd uses body language to communicate to Rothman. Boyd carefully chooses Rothman’s mounts to keep her safe. She also has a USEF dispensation certificate for shows. This allows Boyd to assist her with hand signals, for instance, in the under saddle, when she can’t hear the announcer. 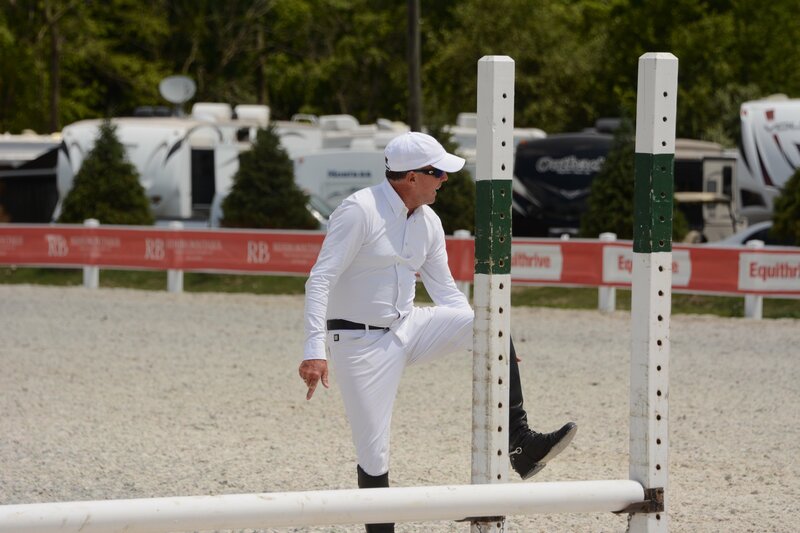 She usually watches the other riders or glances over at Boyd who has hand signals for walk, trot and canter. 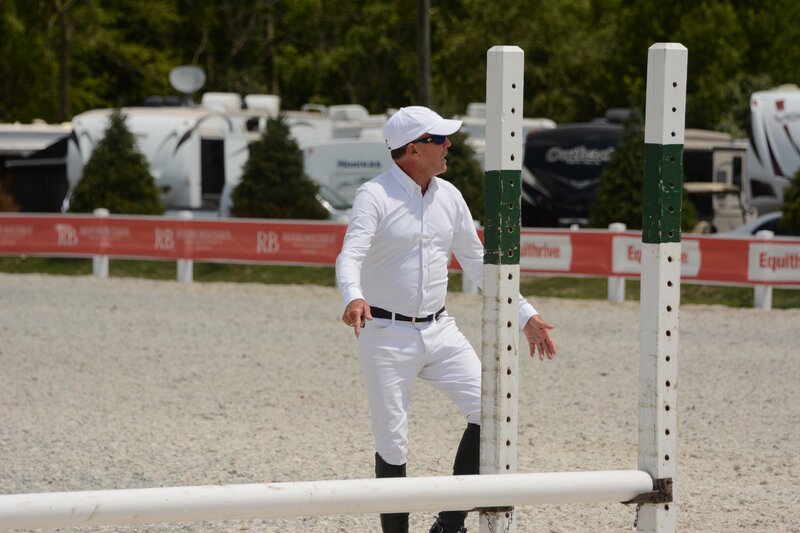 *(USEF Rulebook GR 1310) Any individual with a diagnosed permanent physical disability wishing to compete in a Federation licensed competition with a compensatory aid and/or adaptive equipment must obtain a Dispensation Certificate from the Adaptive Sports Committee. The Dispensation Certificate will list all compensatory aids and adaptive equipment allowed the individual while competing. Rothman also has difficulty with her balance, as inner ear disorders can be related to balance issues. Boyd has her ride at home without stirrups frequently so she can get stronger to hold herself on and she learns to feel her balance on the horse. What comes naturally for some riders, Rothman has to work extra hard at. 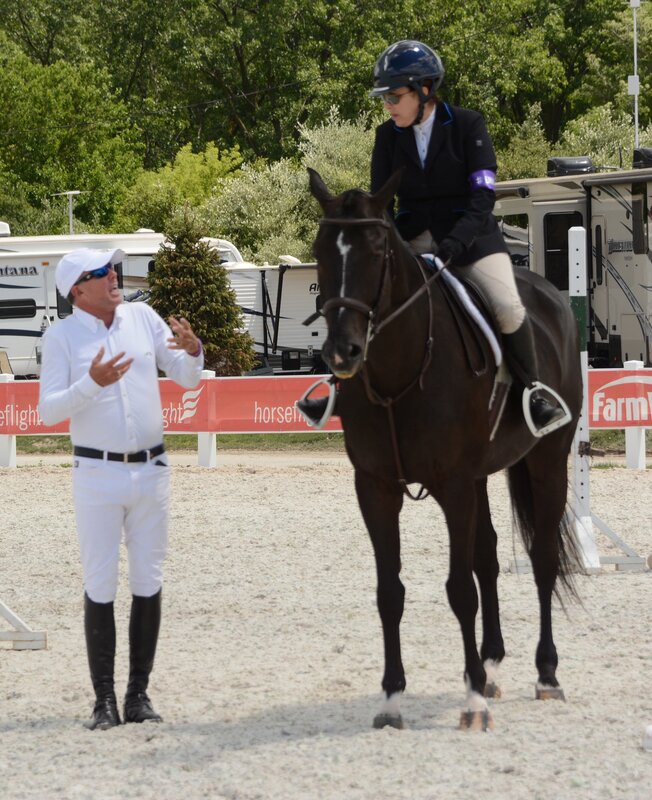 When she rides in lessons at their Sapphire Riding Academy, Boyd takes time to pull her in the center of the ring to explain what he is teaching her. Rothman can read lips and watches Boyd’s movements to understand. In the schooling ring, Boyd keeps her out of busy schooling rings since she can’t hear other riders and communicates directions to her with hand and body signals. Rothman has been racking up top ribbons and championships in the novice adult hunter divisions at premiere shows across the country. She earned the Grand Circuit Championship in the HITS Hunter division this past winter at HITS Ocala on At One's Word. Rothman is a cheerleader for other riders in the barn and truly loves sharing her joy of horses and giving back to others despite her handicap. In fact, Rothman has spent most of her life helping others and has raised four children who are now young adults. She worked for Tackfield, Ltd, who was one of the first UK distributors of TTY devices for the deaf. In 2010, Rothman started the Fresh Start for Our Youth Foundation to help at risk kids overcome drug and alcohol abuse. Fresh Start For Our Youth is committed to raising the public’s awareness about children in need and gathering funds to assist with food, gifts, mentors and guidance. Although Rothman is tiny in size, she sends a message larger than life – you can do anything you set your mind to and give back to others and your community. There’s no better example than Rothman.